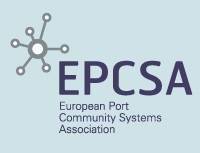 The European Port Community Systems Association (EPCSA) is determined to keep its focus on the important issues and maintain close contact with officers and decision-makers in the European Commission, according to the association’s new chairman and vice-chairman. 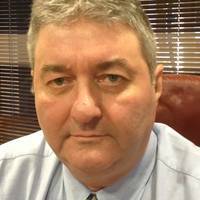 Alan Long, managing director of Felixstowe-based Maritime Cargo Processing (MCP), has been appointed chairman of EPCSA, and Piet Jan ten Thije, strategy and business director of Rotterdam-based Portbase, is the new vice chairman of the association. U.S. based ModusLink certified for stringent supply chain security standards for customs procedures & logistic trade-related initiatives. Certified Authorized Economic Operator and C-TPAT status has been granted for ModusLink’s U.S. and EMEA-based Solution Centers. ModusLinkGlobal Solutions™ Inc. has received Authorized Economic Operator (AEO) security certifications for its Solution Centers in Kildare, Ireland; Apeldoorn, The Netherlands and Brno, Czech Republic. The World Customs Organization, which oversees AEO guidelines, currently represents 178 member countries in developing global standards for customs procedures and enforcement, supply chain security, and many other trade-related initiatives. ADM Robert J. Subcommittee. capabilities. For more than 220 years, the U.S. Coast Guard has safeguarded the nation’s maritime interests and natural resources on our rivers and ports, in the coastal regions, on the high seas, and around the world. The Coast Guard saves those in peril and protects the nation’s maritime border, marine transportation system, natural resources, and the environment. Coast Guard men and women – active duty, reserve, civilian and auxiliarists alike – deliver premier service to the public. military force of maritime professionals whose broad legal authorities, assets, geographic diversity, and expansive partnerships provide a persistent presence in the inland waters, ports, coastal regions, and far offshore areas of operations. The Strategic Council on Security Technology announced the global rollout of Phase Two of the Smart and Secure Tradelanes (SST) initiative. In the last year, SST has become the largest cargo security program in operation, helping global shippers to automatically track the location and status of containers while creating a system to detect and report container tampering. The second phase of SST focuses on further expansion of the global network, extending operations, shipments, and integration into existing supply chain systems while incorporating new technologies such as sensor-equipped smart containers into global supply chain systems. Smart and Secure Tradelanes (SST) is an industry-funded supply chain security and efficiency initiative. for a successful outcome to the conference is high. 9th to 13th September 2002. chapter XI. recommendatory. of the risks must be made in each particular case. in threat with changes in vulnerability for ships and port facilities. facility security assessments. essential components. life or damage to the port facility's economy or environment. assets and infrastructure in order to prioritise security measures. within a port facility that may be a likely target. accurately evaluate risk. facilities. drills will naturally play an important role. by the Administration or Contracting Government, as the case may be. the Contracting Government would set the appropriate security level. situations, respectively. appropriate security measures for the ship and for the port facility. The U.S. Customs Container Security Initiative (CSI) is a program launched by Commissioner Robert Bonner, on January 17 in a speech given at the Center for Strategic and International Studies. CSI secures an indispensable, but vulnerable, link in the chain of global trade: the oceangoing sea container. Customs plays a unique role in processing maritime trade, an ever-expanding stream of commerce, while continually protecting America from terrorism and crime. ·	The volume of trade moving through the nation’s 102 seaports has nearly doubled since 1995. ·	In 2001, U.S. Customs processed more than 214,000 vessels and 5.7 million sea containers. ·	Approximately 90 percent of the world’s cargo moves by container. ·	Globally over 200 million cargo containers move between major seaports each year. The Departmental Advisory Committee on Commercial Operations of the Bureau of Customs and Border Protection and Related Functions (COAC), sponsored by the Department of Homeland Security, will meet in Buffalo, New York on September 10. Topics on the agenda include advance cargo information, World Customs Organization (WCO) security, C-TPAT process review, and bioterrorism. U.S. Customs and Border Protection (CBP) Commissioner Robert C. Bonner and Italian Customs Director General Mario Andrea Guaiana announced the Port of Livorno as the 33rd operational Container Security Initiative (CSI) port. The stand-up of Livorno completes the expansion of the Container Security Initiative in Italy. CSI developed along the guidelines set forth in the declaration of principles signed in November 2002 between Commissioner Bonner and Italian Customs Director General Mario Andrea Guaiana. CSI has been operational at the ports of Genoa and LaSpezia since June 2003. Most recently, the port of Naples became operational on September 30, 2004, and the port of Gioia Tauro on October 29, 2004. U.S. Customs and Border Protection (CBP) Commissioner Robert C. Bonner will be heading to Brussels, Belgium, to urge the members of the World Customs Organization (WCO) to adopt the WCO Framework of Standards to Secure and Facilitate Global Trade. At next week’s WCO Council Session, the 166 members will decide whether to adopt the Framework of Standards, which will provide a set of common standards for governments and the trade community to secure and facilitate the movement 99 percent of trade. “The Framework represents a worldwide strategy that all nations can implement in order to combat global terrorism and to protect trade and our economies. And, it has the potential to revolutionize the security and efficient movement of global trade,” Commissioner Bonner said. U.S. Customs and Border Protection Commissioner Robert C. Bonner unveiled the first Radiation Portal Monitors now operational at the Ports of Los Angeles and Long Beach. The event was part of a seaport security summit designed to acquaint port officials and the public with the pivotal role played by Customs and Border Protection (CBP) in safeguarding the nation’s busiest seaport. “When it comes to the continued vibrancy of the United States economy, it is safe to say that as the ports of LA and Long Beach go, so goes the nation,” Commissioner Bonner stated. The recent recommendations that Department of Homeland Security (DHS) Secretary Michael Chertoff announced on July 13, called for “better systems to move people and goods more securely”. EU Commissioner Dr Joe Borg is set for a public interface with global shipping luminaries when he addresses the International Ship Suppliers Association (ISSA) Convention to be held in Malta from October 18-21, 2007. Dr Borg served as Malta’s Foreign Minister before taking up his present post as EU Commissioner for Fisheries and Maritime Affairs. In a joint statement ISSA President Wim van Noortwijk and Alfred Borg, MSSA President, said: “Having Dr Borg in attendance should attract a number of extra people from the global shipowning community as well as from the ship supply sector. Commissioner Borg will be joined at the Convention by a host of other headline names. By Steven L Herman, Auxiliary Public Information Officer, U.S. TOKYO - For the first time, ministers responsible for transportation security have made coordinated plans to prevent future terrorist attacks. Transportation ministers from 14 countries met in Tokyo (Jan. 12-13) and announced their unanimous commitment to greater international cooperation on transportation security and, in particular, to take all possible measures to thwart terrorism targeting public transport systems. Maritime security was high on the agenda of the first Ministerial Conference on International Transport Security and of particular focus were small cargo ships, fishing vessels, harbor tugs, and boats like the one used to launch the October 20, 2000 attack on the USS Cole in Yemen.